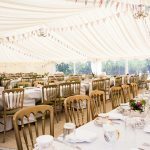 Evans Marquee Hire have provided a wide range of high quality marquees for all manner of events throughout the north west and nationwide, along with an exceptional and bespoke level of service, with the aim of tailoring each package to your individual needs. From intimate and informal garden Weddings, to grand occasions at venues throughout Lancashire and Cumbria, Weddings have always been our speciality. 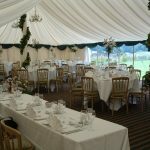 Marquee Weddings afford you much more time to give your big day a personal touch, as they can often be erected a few days before your wedding. They can also incorporate trees and other garden features, or even cover swimming pools and garden beds. Sometimes you just need a little more wiggle room. 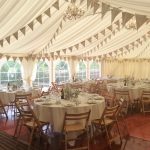 Whether it's extending the space you already have, or throwing an extravagant birthday bash, we can provide you with a Marquee to suit any occasion. If you're looking to extend the space you already have, or want an outdoor feel for your party, a Marquee is a fantastic choice. Covered from the elements if the weather turns sour, you can still open the sides of the marquee giving you an al fresco style party, without getting wet. If your event or party requires additional furniture, we can offer small or bulk rentals of almost everything we use for Weddings, Parties and Events, and provide them with a flexible collection and delivery schedule at competitive prices. We have furniture to suit all occasions, from informal parties to extravagant weddings, and can also provide a functional table and seating for shows and events. We have a range of table sizes to fit a variety of seating arrangements, too.